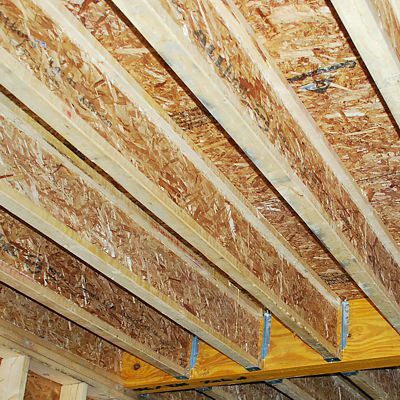 While you're familiar with engineered components such as I-Joists and LVLs that you've been using for years, our engineered floor joists take the process to the next level. Since time is money for builders, National Lumber is always researching for innovative ideas to save you both time and money. We believe in providing the most effective and competitive products, assuring sound, efficient and profitable buildings. 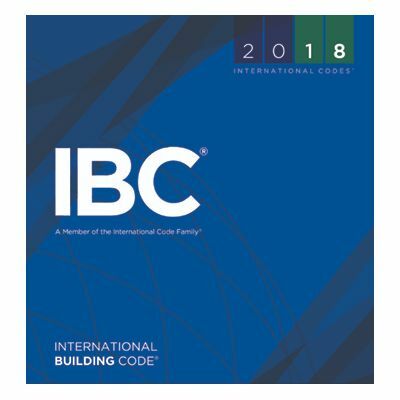 Profitable builders have a measurable competitive edge by using cost-reducing construction techniques that improve building quality at the same time. Structurally outperforming solid sawn lumber, engineered floor systems are designed with structural components requiring fewer pieces, saving installation and material costs. 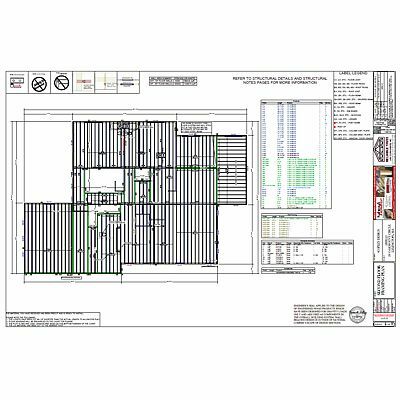 We deliver all components ready to install with a color coded installation plan to follow. Each precision end trimmed I-joist is assigned a unique inkjet printed position number. 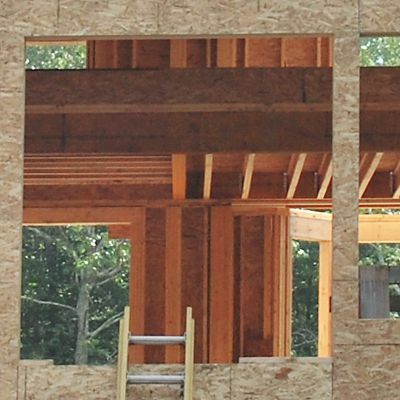 With building energy codes becoming increasingly stringent, Boise Cascade and National Lumber are educating builders on the additional benefits of using EWP construction. Traditionally, duct lines have been put into cold basements and hot attics, increasing heating and cooling costs. Energy usage of the finished building can be reduced by routing ducts through Engineered Floor Systems between the first and second floors. Boise Cascade and National Lumber believe that this method can cut home energy costs. It's also efficient and cost-effective for the builder. National Lumber offers engineered floor systems with all necessary perforations cut in advance for mechanical rough-ins to accommodate HVAC, plumbing, etc. 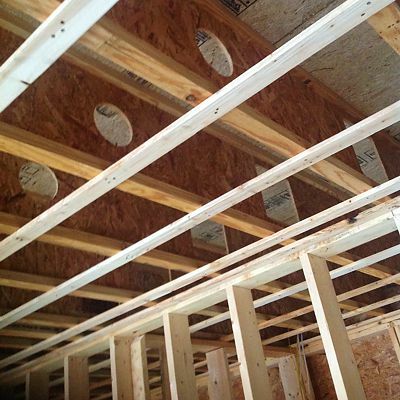 Having the mechanical holes planned ahead of time also means that they will be in the correct positions and the structural integrity of the joists is maintained. 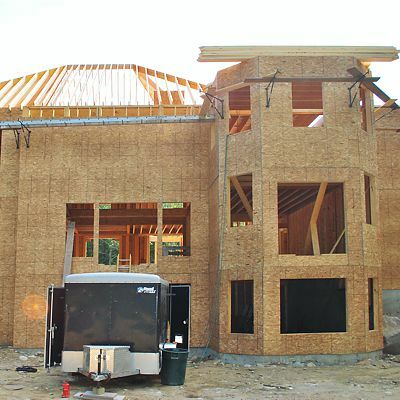 Imagine framing a custom house with a strong, engineered I-joist floor in a fraction of the time it can take with dimensional lumber. Significantly decreased installation time—meaning labor savings— lets you move on to the next phase faster. 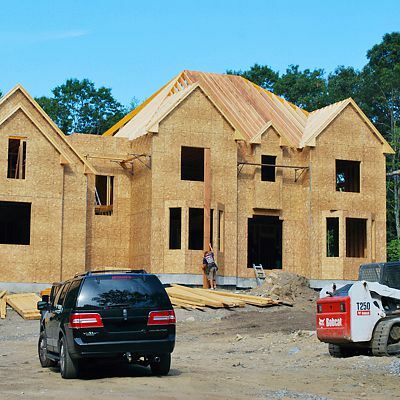 National Lumber does a punch list review after installation, such as reviewing joist & LVL placement, post locations, hanger nailing, etc. Since all the components are delivered in an orderly manner, ready to be installed, the jobsite is cleaner and therefore safer. Plus, with the I-joists delivered pre-cut and ready to install, the cost of waste removal on the jobsite is greatly reduced.